In 2015–16, Australia produced a total of 178,000 tonnes of table grapes, valued at $431 million. This made 2015–16 the best year for the industry for volume and value of production in 12 years. 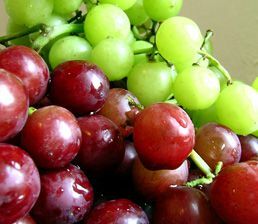 Green, red and blue-black varieties of table grapes are produced by approximately 1,000 growers in the major growing regions of Sunraysia and the Murray Valley in Victoria; the Riverland in SA; Swan Valley, Carnarvon and Geraldton regions of WA; the south east of Queensland; and Ti Tree in the NT. By the end of the 2016–17 season, Australian table grape exports totalled 106,841 tonnes, valued at $373 million. This result was just lower than the previous season due to poor weather and a late season, which reduced opportunities for export. 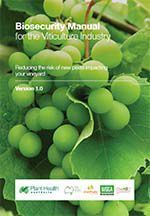 The table grape industry is covered by version 3.0 of the viticulture industry biosecurity plan and the Biosecurity Manual for the Viticulture Industry Version 1.0. The following is a list of high priority exotic pests of table grapes. 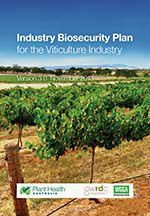 These pests were identified during the development of the Industry Biosecurity Plan for the Viticulture Industry in consultation with industry, government and scientists. They have been assessed as high priority pests based on their potential to enter, establish, and spread in Australia (eg environmental factors, host range, vectors) and the cost to industry of control measures. 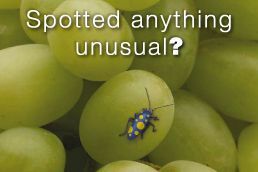 The following is a list of documents for other exotic and endemic pests of table grapes. Please note that this is not a complete list of pests: rather it includes pests for which documents exist in the Pest Information Document Database. Some of the documents presented here are not tailored to the table grape industry and are included for information only.